Social media and writers' platforms (in particular Wattpad and Inkitt) have been extremely helpful for me in connecting with people, interacting with and learning from other writers, and discovering many things I would otherwise have no clue about. So three cheers for Facebook and Goodreads! On the other hand, social media can be a real time-guzzler - you hop from one page to another and from one post to the next, and before you know it, an hour is gone. This may be alright for full-time writers who have no problem dedicating a slice of their day to social media, but I'm not a full-time writer, I'm a full-time mother. Sometimes an uninterrupted hour is all the time I have on the computer in a day (and that's a good day), and if it all gets spent on social media, this means I have no time left to actually write. So my current strategy is this: I log into Facebook once a day, do a basic catch-up (friend requests, posts by people I'm following, page and group invites) and log out. Until next day. Same goes for Goodreads and Wattpad and even my email. I can't be tuned in to social media and networks all day long if I want to be productive. And then what? I sit down and write. 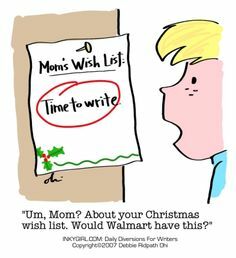 There's always more inspiration and ideas than time, but I guess this means the big writer's block monster is kept well away! A lot of negative things have been said about indie publishing, in particular that it has flooded the market with poorly written, poorly edited, substandard books that make it nearly impossible for the truly talented to stand out, and that serious writers should stick to traditional publishing. It's true that back when traditional publishing dominated 100% of the book market, it ensured certain quality control - a book that had to pass through agents, editors and publishers to get out there had to adhere to certain standards. But on the other hand, many great books that were like a square block trying to fit in a round hole didn't get a chance at all and had to remain in the drawer (sometimes being discovered as masterpieces long years later, even after the author's death). No one is infallible or a perfect judge of what makes a good/successful book (as the publishers who had rejected Harry Potter can testify). 1. Higher profit - in some cases, writers/authors specializing in a niche market have their own following and their own access to a readers' platform they can connect with, for example blogging for a major website. Or maybe they have a real knack for marketing and promotion and want to give it a go doing things by themselves. If so, they might have no need looking for a go-between that would get most of the profit - they can do publishing on demand through CreateSpace and Kindle and reap much higher royalty (even if, in absolute numbers, authors published by major houses still earn a lot more). 2. Speed - a writer bypassing the usually long and tedious querying process, which is then followed by the long and tedious process of the agent submitting the book to various publishers, can get their work out to the market a lot more quickly. Again, this is especially great for writers of a niche market a big publisher wouldn't have bothered with. 3. Everyone gets a chance - For me, that's the bottom line. With indie publishing, everyone gets a chance - maybe not as good as they would have with traditional publishing, but at least you don't have to spend your whole life beating against the glass gates guarded by agents and publishers. If you genuinely feel you have a great, overlooked book, you can still get it out there. 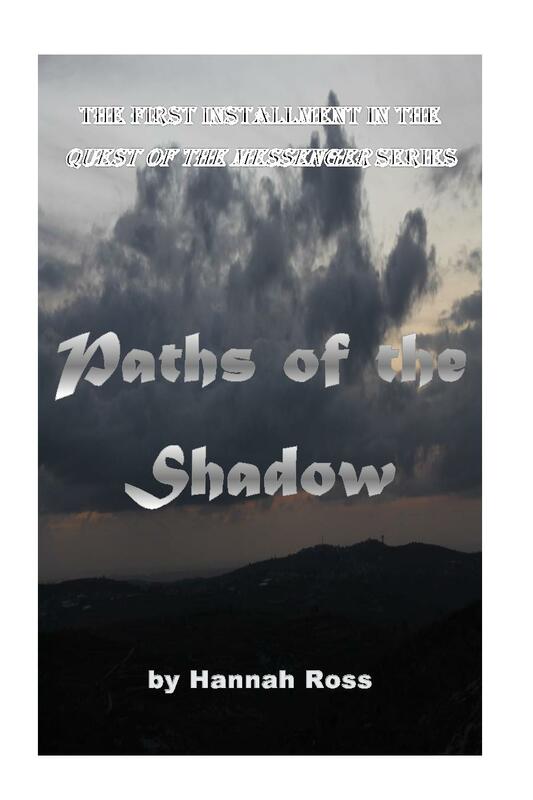 On Nov. 25-26 I'm going to run another free book promo for Paths of the Shadow, with the goal of getting more people introduced to the series. In a way, getting readers hooked to a book series can be like pushing dope: you offer some for free at first and, if it works, people pay their own way later. Series can be tricky this way: on the one hand, once you have a loyal reader who has read the first book in the series and become enthusiastic, the sales for the rest of the books are pretty much in your pocket. On the other hand, a lot - and I mean a lot - hinges on the first book: if it fails to grab the readers, it doesn't matter how brilliant subsequent books are - most people won't bother reading them; although it may occasionally happen that people stumble upon a middle book in a series and start from it. Back when I was introduced to Harry Potter (many years ago) I first came upon book three, started reading that, and then went back to book one. Another catch with series is the need to keep providing good-quality books with a cohesive storyline. I have known several instances when a series started well, but latter books were clearly drawn-out with the idea of generating more books and more sales. This irritates readers and makes them feel cheated. It is important to know where to stop; better to have a good-quality trilogy than ten endlessly stretching books. Also, the author of a series must be consistently productive or risk losing readers. Even (and especially) a world-famous bestselling author such as George Martin receives a lot of criticism from disappointed readers who feel they have waited for the next book far too long. Most authors will have reader simply tune out, forget about the series and move on to something else. Having said that, I think series are wonderful, especially for fantasy. They allow for intricate world-building and make a terrific platform for reader engagement - if done right. "Paths of the Shadow is one of those books that rewards a little patience. While the first few pages come across as incredibly mundane, as Dr. Swift is prodded into attending a pointless social event, the book quickly gathers steam and colour, weaving together a complex set of characters and story arcs that focus on love, loss, and change."